In the not too distant past I sat listening to a United Methodist clergyperson talk about the gifts of the Spirit — a topic in which I have great interest and long involvement. I truly believe that we are imbued with gifts that transcend mere ability or interest. These gifts enable us to serve others as the body of Christ. They are a part of the unique matrix that comprise each individual, and their potential for good is maximized in concert — when gifts are joined, synergy results. However, I was on a very different wavelength than the woman who was speaking. Breathlessly, she explained that once we “unwrap” our gift, we “unleash Holy energy” that allows us to “perform miracles.” We cease to be “merely human” and connect to our “divine nature.” She said that the first proof of our spiritual giftedness is tongues — every person born in the Spirit can speak in tongues — and that this is evidence that we have connected to the mind of Christ. His knowledge is SO great that we cannot comprehend it, thus we speak what sounds like gibberish. From there, God will bestow on us one of thousands of possible “gifts of power,” — among these she named levitation, speaking with the dead, the ability to shape time, the ability to attract wealth, and the ability to become invisible. Of course, these last few things are only possible for the most devout and blessed. What this woman was sharing has little to nothing to do with spiritual gifts as described in the early church, but is her reading so surprising? According to the recent Pew Forum on Religion and Public Life report — Many Americans Mix Multiple Faiths — this pastor is not alone. A rising tide of Americans integrate Eastern, New Age (rhymes with “sewage”? ), and occult beliefs into orthodox faith systems. A large (and growing) number of Christians believe in reincarnation, ghosts, supernatural experiences, astrology, psychics, and unexplained things that go bump in the night. While Pew doesn’t go much into the phenomenon, culturally we are enamored of vampires, warlocks, demons, and the Apocalypse. You cannot turn on the television without a supernatural viewing option. Between Harry Potter and the Twilight series, magic and monsters have dominated the best seller lists for a decade — and Stephen King has dominated for over 30 years. We eat this stuff up, but do we really believe it? You betcha! Ghosts, UFOs, and mind reading are accepted by millions of Americans as fact. Sit in almost any group and share a spooky unexplained experience and one by one, everyone in the group will open up with one of their own. We are, by our nature and DNA, a superstitious species. We are myth-makers, and we explain that which we do not understand in ways that make a sort of sense, even when that sense relies on superstition and magic. It’s one of the reasons we so love stories. It’s also a way we have of taking power and control in our lives — making sense out of nonsense. It helps me each year around this time to remember that the culture in which Jesus was born was steeped in myth, magic, and belief in the supernatural. This culture had no other explanations for mental illness or disease than demons and evil. Magi (magicians/”wise” men) were an acknowledged class of people. Incantations, stones, herbs, etc., were imbued with power, and those who wielded them wisely and well were highly revered. The gifts of gold, frankincense, and myrrh were not “simple” gifts, but powerful and potent sources of energy and magic. The magi were acknowledging the birth of one of their own — a miracle maker. The birth narratives — whether “true” or not — are laden with magic and mystery. And in every century since the first we have added more and more magic to the story (animals talking, divine healings, angelic appearances, etc.). 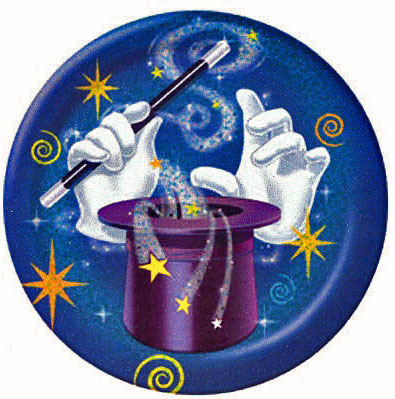 The power of the magic is apparent to all but the most jaded sceptics. Too many people want to debate whether this is “true,” when the undeniable fact is, it is “real.” Beliefs — perception, if you will — shapes a kind of reality. Does Christ become more real to more people at Christmas time? Is there a greater sense of peace on earth goodwill to all people? Do people “believe” more at Christmas time? Well, against all common sense, yes, they do. A signficant segment of our American culture gets all soft and soppy at Christmas time. It may not last beyond December 26, but for a couple weeks, people lighten up. They suspend their cynicism to believe the unbelievable and they allow themselves to be swept up in the magic of something good, and hopeful, and pure, and wonderful. Not everything in life makes sense. Not every belief of any person is purely rational. We are a glorious spectrum stretching from the staring-eyed irrational through the hard-edged rational to the standing-in-the-presence trans-rational. Some very sane people believe in ghosts and UFOs without one shred of evidence, but they also believe in justice and mercy without any more tangible evidence. We believe, LOrd, help our unbelief. Where was this UMC clergyperson speaking? I understand the biblical basis of the gift of tongues, although we should recall the teaching of Paul on this. But this clergyperson is just inventing stuff. Levitation? Shape time? Attract Wealth? Cease to be merely human? I’m afraid to ask whether this person is still a United Methodist clergyperson. I know that is not the point of your post. I just hold out hope that our clergy are in some way discouraged from spreading such teaching. Nashville. Extension ministry. Loves Rhonda Byrne’s, The Secret and believes it is valid for Christians. Thinks we need to look for truth in all teaching — New Age included. Thinks we are only bound by the limits of our mind and imagination. Believes that we can do anything Jesus did — walk on water/levitation; disappear and appear at will, turn water to wine, get money from fish, etc. Yes, still under appointment. My wife has taken up the hobby of ghost hunting and is a member of the local paranormal society. Last Sunday after church I had to literally pry her away from a lady asking for help because she thinks her house is haunted. The lady was seriously upset. Our pastor did a series on the supernatural.. things like ghosts or near-death experiences…. a couple of years back and it was well-received. Not in the sense that we should get all new age-y, but how do we as Christians approach something that is either totally missing or barely mentioned in scripture, but is believed in by a lot of people? Personally, I’m fine with my wife sitting in dark rooms till 3:00 a.m. if that floats her boat. They’re looking for scientific explanations so it’s pretty geeky, actually. Myself, I have absolutely no desire to stir up things that might not be good. Leave well enough alone!! My personal jury is still out. I have had three or four very freaky experiences in my life that defy any kind of rational description — which doesn’t mean there isn’t one, just one I am unaware of! I believe there are many things that we do not fully understand that fall into the category of “super-natural.” However, I am deeply sceptical of many claims, and believe there would be more evidence of some of these phenomena if they were authentic. I would love it if either ghosts or UFOs were proven/discovered. However, I think we have a greater chance of unlocking the mysteries of the universe through physics than psychics. But, hey, I could be wrong, and how cool would that be! If we just summon the faith to get up, up out of that chair, walk across the living room and lay your hand on the television, GAWD will jolt across eternity and heal, brother. Get on your knees and touch that television, sister. Then be sure to send your check. Jesus walked on water. Peter walked on water (just not for very long). Jesus raised Lazarus. Paul raised Eutychus (althought he kid may have just been “asleep”). The risen Christ appeared in the midst of a locked room. Phillip was carried away (teleported?) by the Spirit. Scripture suggests that the disciples of Christ will do things even GREATER than those done by Jesus himself. Don’t get me wrong…I tend to think of Spiritual gifts in a very concrete way (in fact I was criticized for it during Elders Orders), and I’m not EXPECTING to become invisible anytime soon (the way Jesus seems to have maybe done one time). I’m just saying that–as we move on to perfection–perhaps we should expect the UNEXPECTED a little more than we often do.